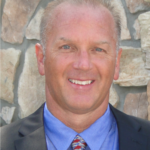 My guest Rick Burnett is the founder and CEO of LaneAxis. Rick is a veteran freight logistics executive and seasoned software developer. He is now focused on driving the evolution of transportation logistics via the Blockchain. Rick has held numerous executive positions within the transportation & software industries focused on transportation solutions. After nearly a decade of development, Rick started filing patents focused on a shipper-carrier direct software model in 2015, and soon after founded LaneAxis Inc. That game-changing patent was approved in March, 2018. LaneAxis Virtual Freight Management is a SaaS platform that provides real-time visibility, analytics and direct connectivity for shippers and carriers, cutting out expensive intermediaries.